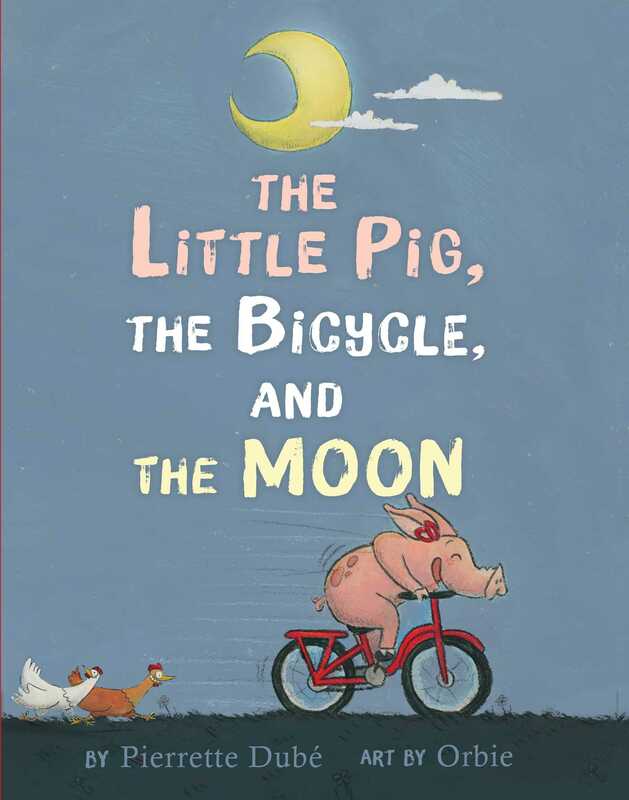 Rosie the little pig is determined to learn how to ride a bike and see the world—no matter how many times she has to pick herself up and start over—in this whimsical story about following your dreams and never giving up. It is only when she sneaks out at night to try to ride the bike herself that Rosie realizes it’s not as easy as it looks. First you have to learn to pedal…but you also need to know how to balance, and braking is very important, too. Every night, watched over by her friend the moon, she tries again and again, and after each failure, she learns something new: to give a push, to wear a helmet, to ask a friend for help. And so every night she tries again, because she knows that if she could just learn how to ride a bike, why, she could travel to the other side of the world…or maybe even farther. Pierrette Dubé is the author of more than ten books. She won the Québec/Wallonie-Bruxelles prize for her book Maman s’est perdue and the Quebec youth book prize for The Little Pig, the Bicycle, and the Moon, originally published as La petite truie, le vélo et la lune. She decided she wanted to write books after discovering children’s literature with her own kids. She knows that even in everyday life, fantasy and humor are never far away. Orbie is an illustrator for children’s books, comics, advertising, and more. She illustrated Sven le Terrible, Pas de vacances pour les pirates, as well as Les vacances. She won second prize in the Hachette Canada comic book contest for her illustration of the story, “Pas d’pêche!” Orbie is very active in sharing her passion through school workshops. "A clever, quirky story...sure to be fun for all readers—but especially those learning to ride a bike."